A Seanachie (pronounced Sha-nah-key) is a traditional Irish master story teller and Harry Lindsay, with this book, is proudly carrying on that great profession. Harry Lindsay is well-known throughout the motorcycle world for his success in competition of all-sorts, his famous Dublin motorcycle dealership and, perhaps most widely now, for his amazing bike restoration talents. 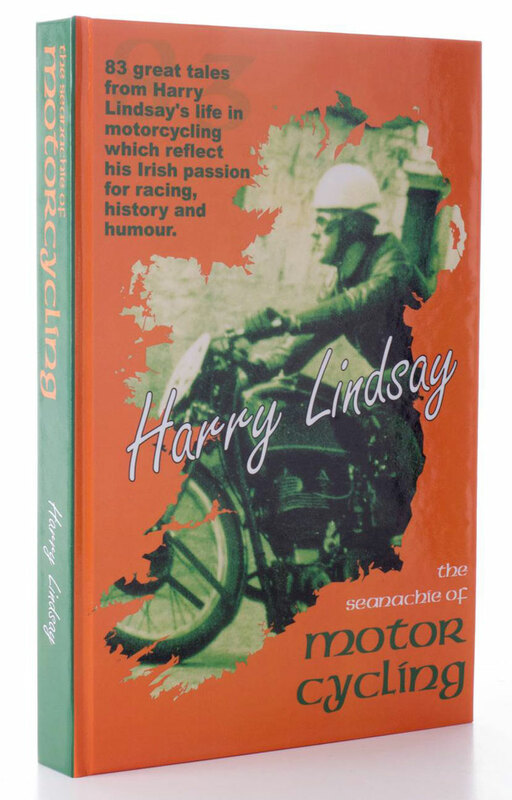 This collection of stories from Harry's life around motorcycles tells the history of motorcycling in Ireland, Britain and further afield from its earliest days (Harry's father and grandfather were involved in building Celtic motorcycles before the First World War), through the golden era of competition in the fifties and sixties right up to the present day. Covering topics such as buying a 1912 Rudge with pocket money, the 1949 Spanish Grand Prix, restoring a Spanish Civil War survival Motosacoche, land speed records with 'Gunga Din', 'Phil Vincent as I knew him,' a supercharged two-stroke BSA B31 and many, many more, this highly entertaining book will give you hours of pleasure. In the course of a very busy life Harry's met all sorts of motorcycling royalty and many get a mention, including dinner with Mr Honda (and Mr Suzuki), Reg Armstrong (his cousin), Ray Amm, Geoff Duke, Paco Bulto (Harry was the Irish importer of Bultacos), Joe Ryan, Reg Dearden, Tommy Robb and a veritable ensemble cast of others. A unique and irrepressible take on the idiosyncratic world of motorcycles, you'll find yourself endlessly dipping into 'just one more' story!